Have you ever sliced open an avocado and found yourself trying to finish an unripe fruit? Yes, sometimes it’s hard to know how to tell if an avocado is ripe. The color of the avocado ranges from light green to purple. But sometimes, it doesn’t have to be purple to be ripe! The risk is, if you wait for it to turn to purple, you might be waiting for a rotten avocado! Nobody wants mushy overripe fruits, right? There are different ways to eat avocado. Slicing and serving it on a plate is one simple way to eat an avocado. An avocado smoothie is great to beat the heat. Guacamoles are perfect for dipping. Depending on how you intend to use them, you might want to determine the level of ripeness for your recipe. If you are going to use it for salad, how ripe should it be? If you are going to use it for guacamole, does it have to be purple? How green should they be if I will use it for a smoothie? This is some way you can use to know when an avocado is ripe. Like other fruits, the riper it gets, the more fragrant it is. Smell the stem of the avocado. Overripe avocados smell pleasant. But eating overripe avocados might not be as exciting as smelling it. Ideally, you would want a weak smell. 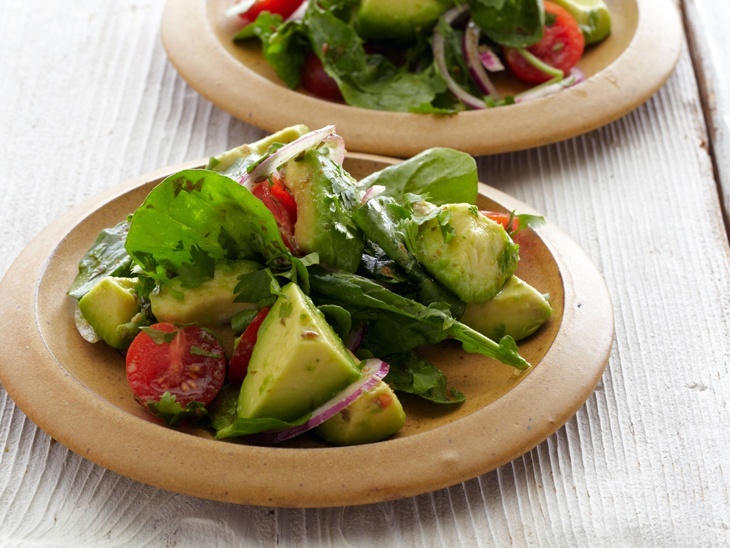 Ripe, succulent avocados are great for salads or even snacks! The color of the fruit is not a reliable way to check for ripeness. Some avocados turn purple when ripe, some varieties don’t. Most avocados turn from pale green to deep green with a hue of purple when ripe. A black avocado suggests that it is way past its prime and might be rotten on the inside already. When cut open, you would want to see a green flesh without brown streaks. The more streaks there are, the riper the fruit is. Depending on the variety, the skin of the avocado can come smooth to rough with features like that of an alligator skin (avocados are sometimes called alligator pear). Avocados have thick skin and thins a bit as it ripens. Hold the avocado and give it a gentle press using your thumb. Unripe avocados are firm and soften as it ripens. If your thumb easily sinks the skin with little pressure, maybe you want to consider throwing it away. An overripe avocado can be quite messy. Ripe avocados are perfect for guacamoles and other dipping sauces. The riper the avocados, the better the flavor and the easier to mash it. Avocados only have one seed. The seed sticks tightly to the flesh when it is unripe. As the fruit ripens, it loses some moisture, and the flesh is compressed a bit towards the skin. This leaves a small space between the seed and the flesh. 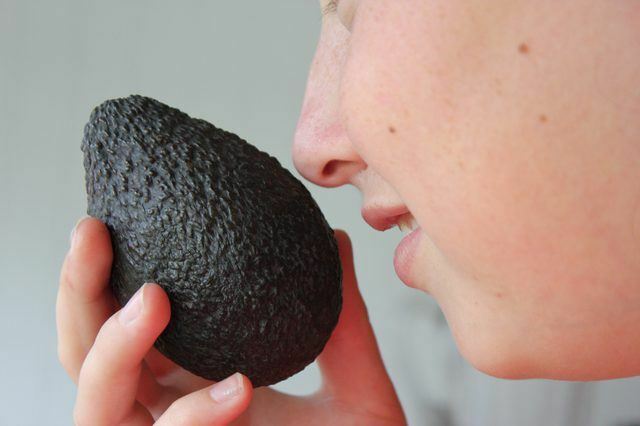 Put the avocado near your ear and have a gentle shake. If you hear the seed mildly rattling, then it means that the avocado is already ripe. As the fruit ripens, the space between the seed and the flesh slightly grows bigger. This results in a somewhat louder rattle inside the fruit. One of the best ways how to tell if an avocado is ripe is by checking its stem. You can snap off the stem and look at the stump. Take note of how easy the stem popped. The easier it pops, it suggests that the fruit is more matured. If you can’t snap it off, it only means that the fruit is not ready for consumption and needs more time to ripen. A good sign of ripeness is snapping the stem should feel like popping a shampoo cap with one hand. Check the color of the stump. A moist brown color suggests that the avocado is good for mushing. If the stump is already brown and dry, it may imply that the fruit is no longer food for consumption. You would want the stump to be green and a little dried up. You can have the best taste of avocado at this point. How Ripe Should Avocado Be? The answer to this question is heavily influenced by your preference. Like some people want their coffee black, and some prefer it sweetened. Same goes for your favorite avocados. Ripe avocados are delicious! You can make great smoothies and snacks out of it. You can even garnish it over your salad to add flavor. A few days after the prime, the avocado’s flesh becomes a little mushy and easy to mash. This is perfect for dipping sauce and guacamole! But nobody can stop you from making a smoothie out of this if you want stronger avocado flavor. Avocado is a nutritious and delicious fruit. It is a fruit rich in unsaturated fats. 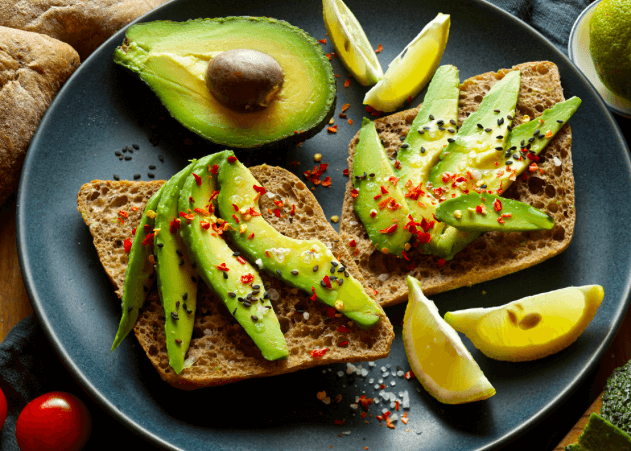 If you are having cholesterol problems, eating foods rich in unsaturated fats like avocados can help you manage it. Avocados have a lot of culinary uses and are becoming a popular alternative for cream because of its neutral and non-offensive taste. The good thing is, there are some ways to know what is happening inside the fruit without opening it. 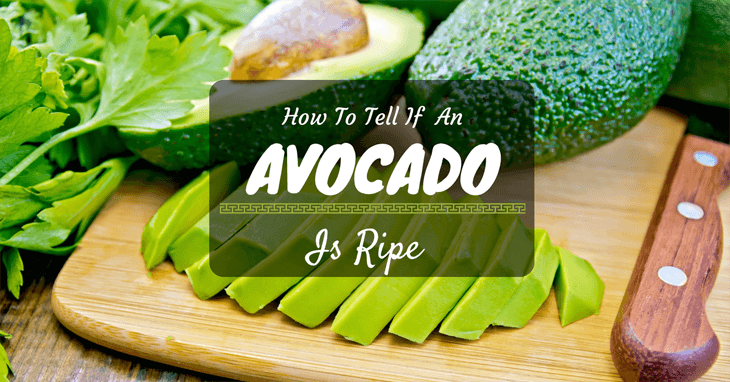 Combining all the methods above can significantly decrease your chance of opening an unripe and overripe avocado!